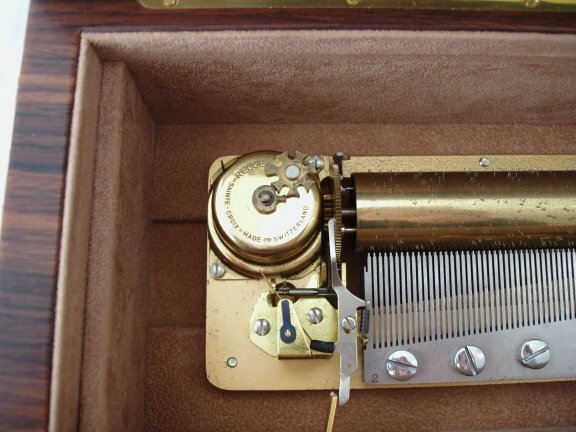 This vintage 72 note music box has the stunning sounding Reuge 3 tune musical movement playing Verdi's 'Va, Pensiero' from Nabucco. 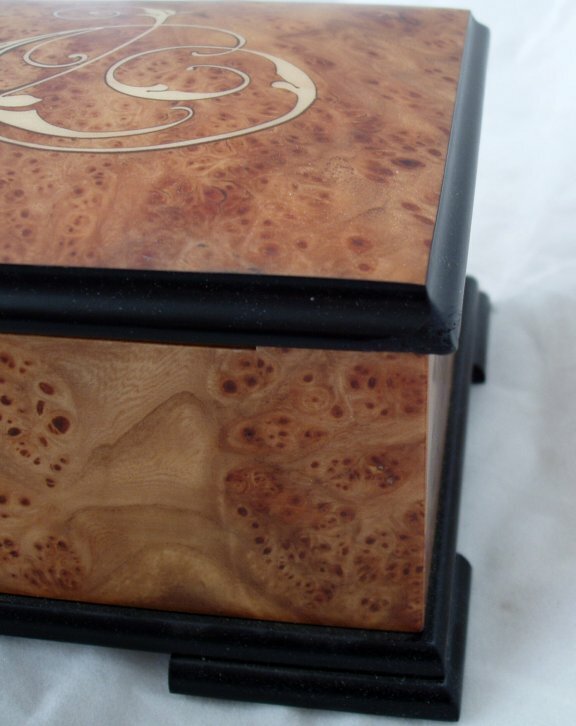 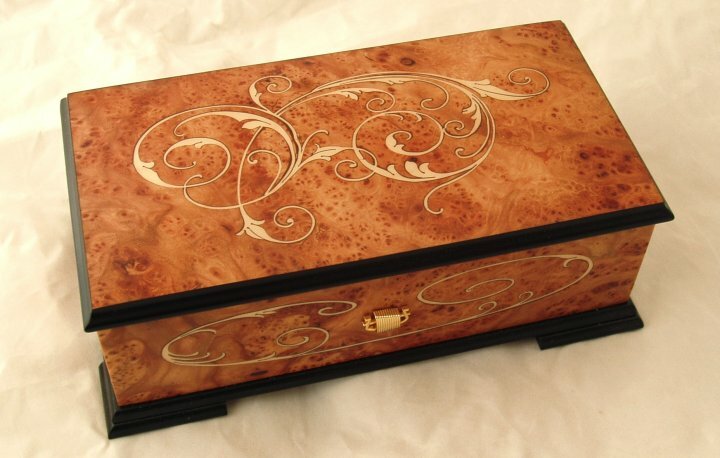 Finished in burr elm with an inlaid scroll work marquetry. Condition - Very Good. Movement in excellent playing order with slight tarnishing. Box overall is good, but there is some damage to the rear left corner of the lid, only noticeable when turned around & looking closely - see photo. 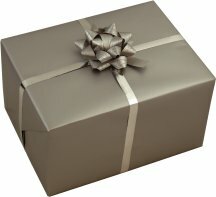 Comes in a plain white packaging box. 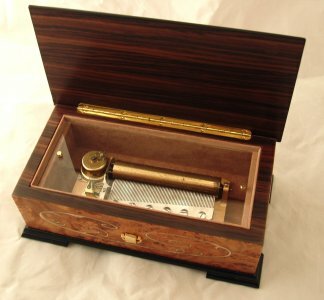 Guarantee on Vintage items - Because of the age & price, the movement in this box comes with a limited 3 month guarantee.